Our very first dining adventure in a celebrity chef’s restaurant was at Gordon Ramsay’s Foxtrot Oscar on London’s Royal Hospital Road. It marked the beginning of our many European dining adventures that were to come, including Restaurant Gordon Ramsay, which was only a few metres away. Sadly, however, Foxtrot Oscar is now defunct. We went to the restaurant for dinner on our honeymoon in December 2010. Being Gordon Ramsay fans, we had made a reservation with the restaurant months before, and had eagerly anticipated the dining experience. Foxtrot Oscar was one of Gordon Ramsay’s humbler restaurants. It was not a fine-dining establishment, held no Michelin-stars and had a lower profile among its more illustrious sister restaurants. Why did we choose it then? Well, we were cautious and inexperienced. We had no idea what the cost of dining at a celebrity chef/Michelin-starred restaurant was like. Coming from Singapore, we had taken the cost of a fine-dining meal here and doubled it to match the GBP (£) for an estimated cost of a similar meal in London. It was a terrible estimation. We learnt later on that fine-dining meals London can be a lot cheaper than we had thought. Singapore is just too expensive. Anyway, a journey of a thousand miles begins with a single step and so it was with the humble beginning to our dining adventures. It was a Gordon Ramsay restaurant, nevertheless, and we had been longing to dine in one. The restaurant had a cosy feel about it and our waiter, who hailed from Italy, was very warm, obliging and attentive. Our starters that wintry evening were a soup (possibly cream of mushroom) and a very tasty foie gras and onion jam with toast. Following that, we had a fish dish and the Foxtrot Oscar burger for our mains with a side dish of aubergines. Dessert was a chocolate tart shared between us. The food at Foxtrot Oscar was decent, but it can’t compare with our experiences beyond it. Nevertheless, that evening’s dinner will always be memorable to us for the novel experience of dining in a Gordon Ramsay/celebrity chef’s restaurant for the very first time. 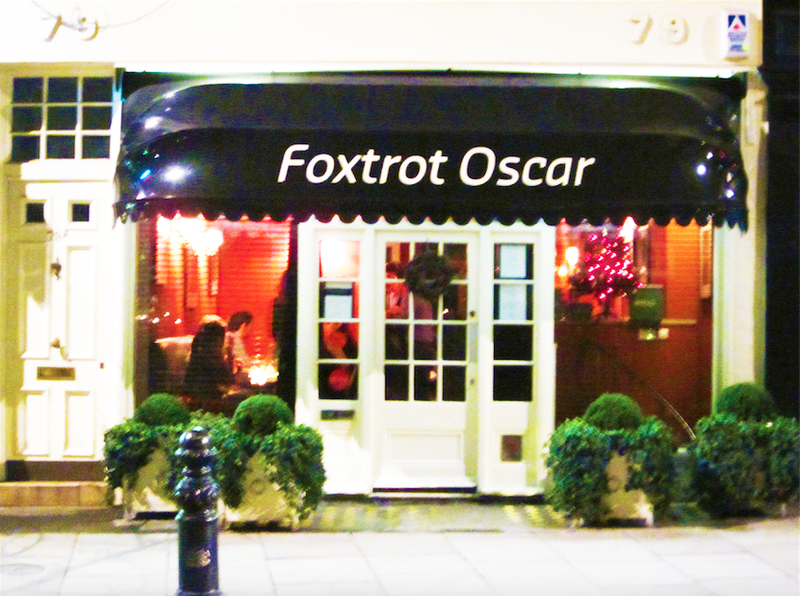 Despite its closure, we will always treasure Foxtrot Oscar for setting us off on all our European dining adventures.